leavers with the opportunity simply to TRY a TRADE and learn more about the Refrigeration and Airconditioning industry. 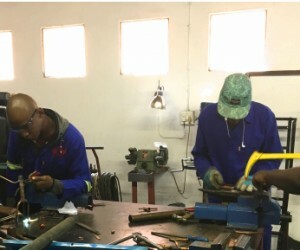 The aim of the project is to increase awareness about the Refrigeration and Air-conditioning industry while equipping the candidates with the neccesry skills that will make them premium candidates for employment and development. Finding talent and commitment can be a timeconsuming activity for any company. During the TAT program, OTTC assessed candidate’s skill levels, eagerness to learn and work. With the assessment results, candidates can be reviewed and are highly recommended for employment by OTTC.